From the maze of numbers, he moved on to those of the real world. In abstract algebra, his area of interest, he saw contours of writing as a creative field. “In algebra, you build mathematical objects, one upon the other. You also try to show that seemingly different mathematical objects are the same — you try to see the world in a different way. This is the essence of powerful writing,” says Anjan Sundaram, the author of Stringer: A Reporter’s Journey in the Congo (Hamish Hamilton). Sundaram “broke” with America after his Masters in mathematics from Yale University after life seemed to have become “too beautiful”. Having made up his mind in favour of journalism, he landed in the Democratic Republic of Congo that “consumed” him. Mathematics, he writes in the book, “was pristine, but it offered no stimulus to the senses”. Mathematics’ “relations to the universe were numerous, but fortuitous”. He writes: “It was man’s brilliance and vanity at play. I started to feel lost”. This feeling led to an urge to find routes to collide with reality. The result is Stringer. 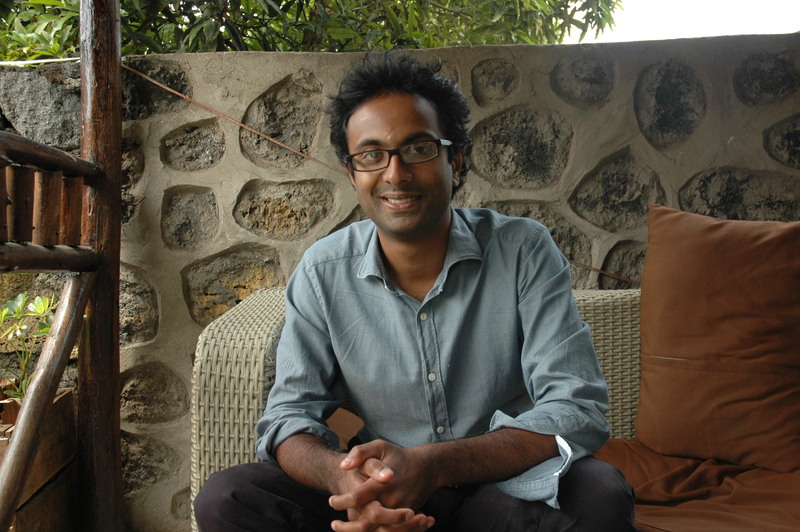 Sundaram’s collision with the real world continues as he is now in Rwanda, working on a book on yet another African nation. Sundaram has reported from Africa for the New York Times and the Associated Press. He has received a Reuters award for his reporting in Congo. Q. Stringer gives an incredible insight into the country the world has “largely rejected”. Was the book on your mind when you had landed in Congo? A: Not at all. I went to Congo because I had read that 4 million people had died — the death toll now stands at 5 million — and that there were not many reporters there. When I arrived in Congo and found a job with the Associated Press I became one of four international reporters in a country half the size of Europe — Congo is larger than Spain, France, Germany, Portugal, all put together. Imagine, just four journalists reporting from this massive country experiencing the most deadly war in the world. 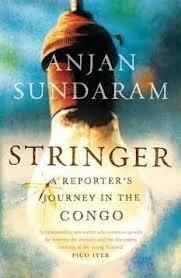 The desire to write Stringer only came as I was leaving Congo, after a year and a half there. The experience had been devastating. I felt the need to share it. Q: You write in the book that you had left for Congo in a “sort of rage, a searing emotion”. Tell me more about that rage. Did the trip also had to do with your moral concerns? Or the sheer thrill of seeing history unfold? A: There was certainly a sense of thrill at being witness to history. I was 22 years old. I wanted to see the world in its fullness. I lived with a family that had very primary concerns — there was often no food in the house, the baby was sick. I ate once a day, like them. As a journalist I met warlords, I saw mass graves, and went on military patrols with UN troops. I was embedded with UN soldiers as they attacked rebels in the Congolese jungle. All of this taught me a lot. And it fulfilled a need to see the world, feel a part of it, and understand something of its depth and extent. I felt powerful emotion in these places. There was certainly a moral concern as well. Why did we hear so little from this place called Congo in which so many people had died? Why did the world turn away from this war, hardly visit it, and reduce it to two-hundred-word report at the bottom of newspaper pages? There are still too few journalists who live in Congo, experience it, and write from that experience. Too many of the stories we read and hear are by reporters who visit Congo for just a few days. Q: You had set out to see “how people respond to crisis,” what people could become”. After your stay, what conclusions did you reach about Congo’s people’s response to crisis and the various ways it has made them what they are? A: My preoccupation was to understand what we could become. People are incredibly resilient in the face of disaster. People in Congo often resorted to black humour — theywould ridicule themselves and their country — in order to surmount the catastrophe around them. The incredibly grotesque rapes in Congo are also a result of the enduring crisis. There is a sense of impotence in a place like Congo, and human beings react very badly to this. We all have the need to mark our presence in the world, to feel we have a soul, that something in us is permanent, and lasting. Q: It was extremely challenging to have lived the life you lived in Kinshasa. Did the small, personal tragedies ever deter your resolve? A: On a number of occasions I wondered if I should leave Congo. After I was robbed at gunpoint I thought I would have to leave – because I couldn’t afford to stay on. But I think these experiences test your resolve. Each obstacle strengthens your vision, makes you ask yourself why you are there. I wasn’t in Congo merely for the thrill of it — the sense of fun quickly subsided, and every day was a test. I wouldn’t have stayed on if I didn’t believe that there was something incredibly important that I needed to see and experience. Eventually I felt I had to share what I had seen and felt, and Stringer is the result. Q: You mention the links between peace in Congo and the world economy, how it is in the interest of the world to keep the conflict in Congo going. Do you foresee a resolution of the Congo crisis? A: Illegal mineral trafficking networks have been set up in Congo with entrenched business interests that will suffer if the war were to end. Neighboring countries control Congolese mines and profit directly from smuggling that thrives in the conflict. There are dozens of wealthy Indian middlemen traders in Congo dealing in conflict minerals. The United States, despite its massive contribution to the UN peacekeeping force, supports the Congolese operations of Phelps Dodge, a large mining firm. They refused me permission to visit the mining company site. What did they want to hide? Q: Tell me something about the ethnic Indians in Congo. A: Indians in Africa are predominantly businesspeople. They are a sizable population in east Africa, particularly in Kenya and Uganda, where they were brought by the British Empire to build railroads. You find in Congo this older generation of Indians — many run trading shops handed down to them by their forefathers. You also find a newer generation of Indians – with whom I spent a lot of time and describe in Stringer — who are fortune hunters. I travelled up the Congo River with an Indian to find a patch of land he had bought, hoping he would become rich from it. I lived with a Pakistani Punjabi who sold arms to militias. I met diamond dealers. These were people who had immigrated from India and Pakistan in the last 10 years, despite the economic growth and opportunity on the Indian subcontinent. Why had they left? They were an incredible interesting and enterprising group. Many of the stories in Stringer involve such Indians. Q: Since Stringer is your first book, did you have to work on the book’s voice, texture and tone? A: Stringer is the result of four years of writing. It took me a long time to find the voice for the book – and also to shape it, to sift through the many experiences and find the ones that moved me most powerfully, and that needed to be conveyed. Q: What do you make of the parallels with Naipaul and Kapuscinski? Are they among your early influences? How deep does your own understanding and admiration of the two run? A: Naipaul and Kapuscinski have both been important to my writing, in different ways. An interview with Kapuscinski I was given in Manhattan inspired me to travel to Congo and work as a journalist. I kept a book by Kapuscinski in my backpack as I travelled through Congo — I could carry very few books because they were so heavy. His Shadow of the Sun was one of them. Kapuscinski opens your eyes to a place and can make you see itcompletely differently. Most importantly, he needed to travel and see the world to write about it. I think this gives a certain honesty to his work, and a great power. Naipaul I discovered several years later, as I was writing Stringer. His fiction struck me first. Reading him taught me about the process and craft of writing, and I still go back to him when I have questions. There is an intensity and precision in Naipaul’s writing that is very hard to find. Q: Could you tell me a bit more about Serge Lang, the great mathematician who taught you at Yale and with whom you shared a great bond. How did his suicide after you left for Congo affect you? A: I met Serge Lang in my third year at Yale. He was a prolific mathematician, legendary for his textbooks. He shared his passion for mathematics with me, and was one of the reasons I learned so much mathematics so quickly. But we also became close because of his activities outside mathematics. Lang was an activist, a fiery man. He said what he thought, and he didn’t just talk, he acted upon his convictions. I found something pure in this, something appealing. He dared to speak up against the establishment, and defended his positions ferociously because he believed in them so completely. He took unpopular views and made sure he was heard. I learnt of Lang’s death not long after I arrived in Congo. It was devastating news. As I describe in Stringer, we had not said goodbye properly. Lang was such a brilliant mind, it was strange to hear that he had possibly killed himself. I don’t know if that is the truth. I remember him behaving oddly before I left for Congo. He would not answer a number of my questions, and he seemed sad. I think he was one of the few people, when I left Yale, who truly appreciated why I was going to Congo. Q: What was it like growing up in Dubai? Tell us something about those days? Your education and the books and authors you read? A: When my parents moved to Dubai — this was around the time I was born — the place was still a desert. There was one school powered by a generator. My mother had to wait hours in line to make a “lightning phone call” back to India. I grew up watching Dubai undergo this enormous change — the city went from what was essentially a desert village to something like Las Vegas today. I went to school in Dubai until I was 10, after which I studied in India, until I went to Yale, at the age of 18. I think the experience of growing up in Dubai — I spent a significant part of each year there – planted the idea in me of travelling to find myself. So many people in Dubai were immigrants. I read some as a child — but not very literary books. I read Roald Dahl, Enid Blyton, Frederick Forsyth, John Grisham and Tom Clancy. I read and adored Animal Farm. I loved a good story, and the feeling of a book transporting me to another world. I believe that my need to write has less to do with the literature I consumed as a child than a desire to share experience and emotion. Q: Have you left mathematics forever? How removed did you find the “man’s genius” from his “destructive capacities”? Would you ever return to mathematics? A: I no longer practice or study mathematics, and I would not return to it. I cannot imagine myself working purely from my imagination — at least for now, my life is in the field, in seeking out experience and feeling emotion. I am excited about the world and want to explore it. Mathematics is powerful and beautiful, and the rigor of mathematics certainly helps me in my writing-the discipline to probe and penetrate, and to distill one’s idea into concise language, for example. The kind of mathematics I enjoyed — abstract algebra — also resembles writing in that it is a creative field. In algebra you build mathematical objects, one upon the other. You also try to show that seemingly different mathematical objects are the same — you try to see the world in a different way. This is the essence of powerful writing. This fellow is nothing but another bloody coconut (brown on the outside; white on the inside) who seeks to make a name for himself through exploiting (by writing about) the misfortunes of others. He writes all about the suffering there without offering any solutions whatsoever and without pointing too many fingers at the REAL culprits behind the warring going on (hint: It’s the Same people who educated him . Another brown sahib commenting on the misfortunes of other from his lofty perch. I wonder how much of the proceeds of his book will he use to ACTUALLY those in need in the Congo? ‘Seeking out experience’?!! Dude, you’re in a effing war zone, you can get out whenever you can – others are not so lucky …..
Don’t agree with the comment. Keeping silent, or keeping away is the alternative that politically correct types practice. Is it better than ‘blood coconut’ (I am personally a kind of frosted chocolate drop) exploiting as you call it the misfortunes of others. Information: there is a difference between writing about something or someone and exploiting that thing, or that someone. What you write is errant nonsense. Nonsense on stilts – go attack some corporate lawyers if you want to kick where it should hurt more. Not this chap doing his best to let us know what is happening in a grossly under-reported part of a neglected continent.